A wind of 60's has blown over Digital Eyes. 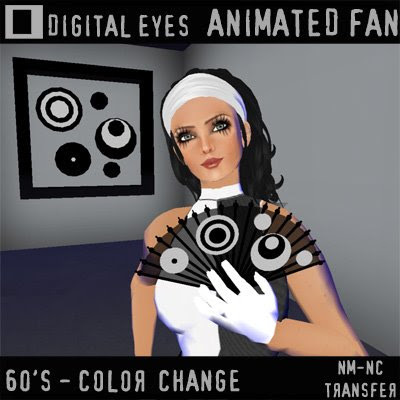 So here is a new animated fan, color change because the 60's were full of bright colors. You'll be able to choose your favorite ones to go with your mini skirts and boots.